Our circadian rhythm, or internal clock, helps to control much more than just our “sleep-wake” cycles. In fact, many tissues and cells throughout the body operate around this biological clock that changes how they metabolize glucose, amino acids, fats and other fuels. Moreover, most cells in the body also change how they respond to various hormonal and environmental signals based on where they are in the clock. These very signals of light, food intake, hormones and sleep also alter the body’s biorhythm in turn. Essentially, it is a two-way street where the existing rhythm of the body’s clock alters whole-body metabolism and physiology on the one hand, and environmental cues exert influence to regulate and help “set the time” on these biological clocks on the other hand. Based on this backdrop, it’s no surprise that people who don’t get enough sleep find themselves gaining more body fat and having a more difficult time losing weight or controlling their blood sugar levels. This happens, in part, because sleep deprivation amplifies certain aspects of the endocannabinoid system (ECS) that increase appetite and cravings for energy-dense foods. 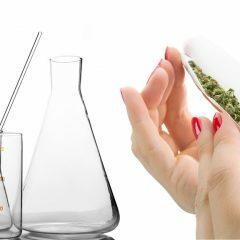 Results from a recent study published in the journal Sleep suggests that a poor night’s sleep leads to an increase in the body’s cannabis-like chemical compounds (including the endocannabinoid 2-AG, or 2-Arachidonoylglycerol), and activates many of the same pathways as a THC-dominant, CB1-receptor-weighted cannabis that makes food more appealing and rewarding. Hanlon et al. found that when a group of 14 volunteers was sleep-deprived to 4.5 hours of sleep over a four-day period in the sleep lab, their 2-AG levels rose to higher concentrations and remained elevated longer, leading them to snack on unhealthy foods as compared with the control group that slept for 9 hours. During the four-day stay in the sleep center all the light and sound was controlled, while all food intake and meals were carefully monitored. Blood plasma levels of 2-AG typically peak in the mid-to-late afternoon, and drop to lowest levels in the middle of the night while fasting, yet in this study subjects’ levels remained higher for longer periods of time. These elevated levels of 2-AG corresponded to when the research subjects were overeating snack foods. We know that sleep loss leads to a drop in cognitive performance and increase in impulsivity. There are also other appetite and energy balance hormones, such as ghrelin and leptin, that are modulated by sleep deprivation. Data along with other research suggests that sleep deprivation is amplifying the hedonic food-seeking drive, while impairing ability to resist temptation and make better decisions regarding food intake. This coupled with dysfunctional insulin sensitivity and partitioning of liver, muscle and fat tissue provides the perfect storm for weight gain and expanding waistlines. This emerging scientific evidence outlines some potential targets for optimizing weight management and metabolic health. One strategy is to improve sleep hygiene by getting plenty of natural light, eating meals early in the day, and making more time for shuteye. 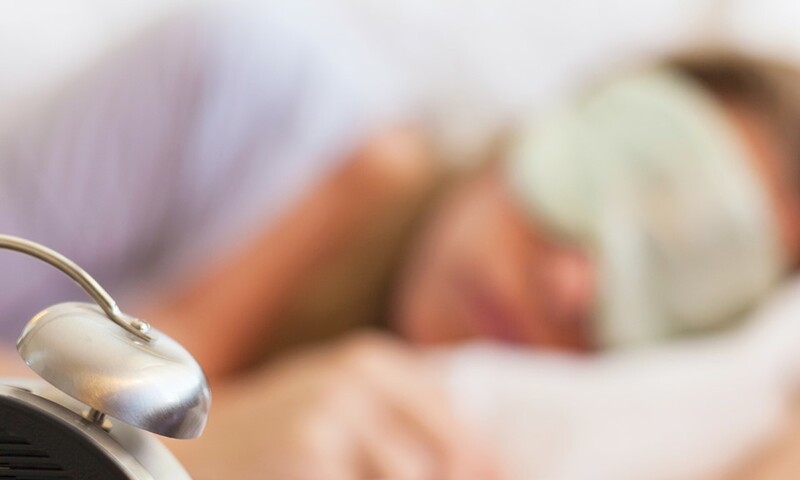 Unfortunately, artificial light, smartphones, TVs, stress, late nights, excess social media use and shift-work have all made it challenging to meet sleep needs. 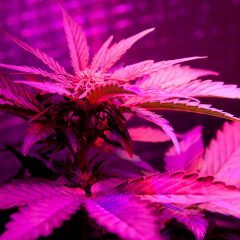 Another strategy may be to bring the endocannabinoid system into balance (i.e., away from CB1-receptor preference like 2-AG endocannabinoids or a THC phytocannabinoid-dominant cannabis) via use of hemp-derived phytocannabinoids such as CBD (cannabidiol), which tend to be more weighted toward a CB2-receptor mediated response as opposed to a CB1-receptor pathway. By keeping our endocannabinoid system in balance, we pave the way for our circadian biorhythm to encourage optimal health and wellness. Hanlon EC, Tasali E, Leproult R, Stuhr KL, Doncheck E, de Wit H, Hillard CJ, Van Cauter E. Circadian rhythm of circulating levels of the endocannabinoid 2-arachidonoylglycerol. J Clin Endocrinol Metab. 2015 Jan;100(1):220-6. Hanlon EC, Tasali E, Leproult R, Stuhr KL, Doncheck E, de Wit H, Hillard CJ, Van Cauter E. Sleep Restriction Enhances the Daily Rhythm of Circulating Levels of Endocannabinoid 2-Arachidonoylglycerol. Sleep. 2016 Mar 1;39(3):653-64. Van Cauter E, Holmback U, Knutson K, Leproult R, Miller A, Nedeltcheva A, Pannain S, Penev P, Tasali E, Spiegel K. Impact of sleep and sleep loss on neuroendocrine and metabolic function. Horm Res. 2007;67 Suppl 1:2-9. Knutson KL, Van Cauter E. Associations between sleep loss and increased risk of obesity and diabetes. Ann N Y Acad Sci. 2008;1129:287-304. So how is this done, exactly? Despite the title and cited heading, this taught us nothing about when to take Cannabis for circadian rhythm regulation. Many people could benefit from that info. Please reply if you have any additional information. Ty.